There are two types of drivers in the world — those that understand that things won’t always go their way, and those that are likely to freak out over the most minor of inconveniences. While the more relaxed driver might mutter under their breath at someone’s horrid parking job, they’re likely to forget about it and go about their day. On the other hand, the second kind of driver might be more inclined to leave a passive-aggressive note on someone’s windshield. Now, take a look at some of the hilarious notes that people have left on cars and pray you don’t get one yourself. It’s all fun and games until somebody brings politics into the argument. This person must have really been angry at this driver’s parking spot. Not only did they accuse them of being “slow,” but they even assumed the political party that they might support. 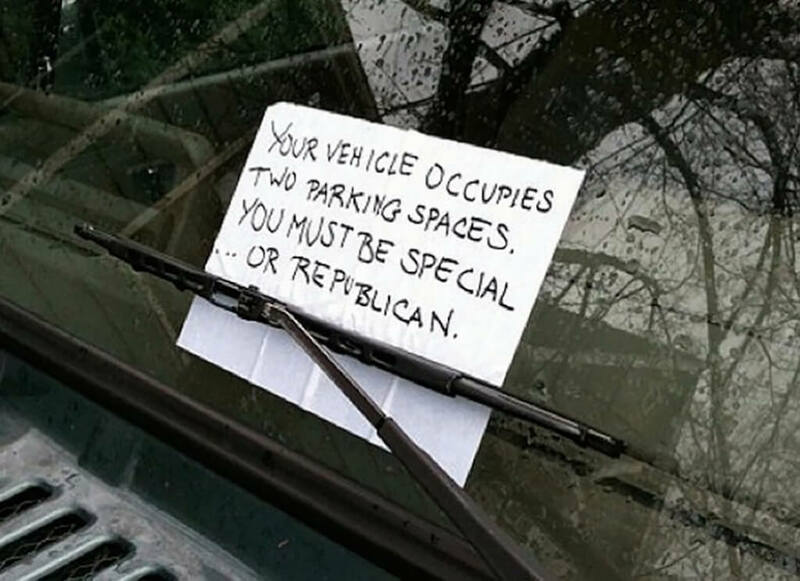 What would have made this note even funnier is if the person that parked the car was actually a democrat. We also aren’t sure if that note is supposed to be in all capital letters to make a point or if that’s just how they write.